An innovative South Africa energy management solution reaches the final of the Urban App Challenge and receives appraisal from Nokia and AppCampus in Aalto University in Finland. Finland, Helsinki - June 7th 2013 - Methys, an international technology company focused on big data and digital innovation, presented today at the AppCampus event at Aalto University in Finland, Kwami, an innovative community driven utilities management mobile application enabling users to share and learn together how to better manage their energy costs. The Kwami solution, initially developed on the Windows mobile framework, includes an inexpensive 3rd party hardware component enabling your electricity meter data to be securely sent to the cloud, and a mobile application to capture this data and allow users to monitor the energy consumption of their home, whenever and wherever they are, share it and benchmark it with friends, neighbours, colleagues. The concept developed by Methys’ South African team, was selected as part of the South African Urban App competition by AppCampus over 2,600 submissions for seed acceleration and funding with the support of Nokia and Microsoft. Sebastien Lacour, Kwami Project Manager at Methys Labs said "Leveraging on the experience Methys has built in recent year with big data, social analytics, and energy management, the Kwami project offers some useful features for the future smart homes and an interesting business model based on social data and demand response incentives. With this project, we truly aim at contributing to an educational experience for all, and a more dynamic demand management framework to support Utilities effort to optimise their delivery". Christophe Viarnaud, Chairman of the Methys group, added "Kwami, created by the Methys Labs in Cape Town’s Silicon Cape, is the 4th start up project we are generating in less than 3 years. It demonstrates our ability to leverage on our core expertise in big data, mobile application and . . .
Sanders-South Africa and Play Club, the Book Club for Theatre Lovers, continues its series on “Identity” with Ken Ludwig’s screwball hit “Lend me a Tenor”. In this wildly entertaining farce, the renowned tenor is scheduled to sing the lead in the opera “Otello”. Chaos ensues when his wife mistakenly leaves him a “Dear John” letter and the distraught singer is accidentally given a double dose of tranquilizers. What follows is a laugh-out-loud chain reaction of door-slamming mistaken identity, farcical plot twists, double entendres and musical mayhem! 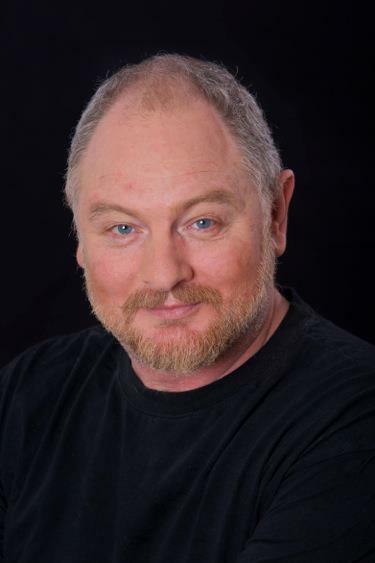 This reading will star Adrian Galley as Tito Morelli and feature Andre Jacobs as Saunders, with Daniel Barnett, Luella Holland, Laura Bosman, Luke Tyler, Candice van Litsenborgh and Tandi Buchin. The panel for the afternoon will feature UCT director Chris Weare along with director and London’s Italia Conti lecturer Richard James Wright-Firth. Stage directions will be read by Chi Mhende and the reading is to be moderated by New York producer and director, Drew Rienstra - artistic director of Chase The Sun Productions. The entry fee includes wine, snacks and a copy of the script. Free parking is available in The Palms covered parking. Seating is limited so book now. Date: Sunday 16 June 2013 Time: 15:30 to 19:00 Venue: Knight Fine Furnishings, Store A037, 1st Floor, West Wing, The Palms Decor & Lifestyle Centre, Woodstock Tickets: R150. R75 for SAGA members and students. Available on www.quicket.co.za URL: http://www.hippocommunications.cim Twitter: Facebook: YouTube: Author: Jessica Miller from Hippo Communications. Originally distributed by MyPR.co.za. No of Images Uploaded: One To gain access to One image/s please Like, Tweet or +1 this article: [l2g] Images: [/l2g] . . . The 5th Online Retailing Conference will be taking place on 19 and 20 June 2013 at Emperors Palace, Johannesburg. South Africa’s premium online retailing conference has once again attracted e-commerce professionals from all major companies in the online retailing industry. Altogether 18 expert speakers will address attendees at the conference. From payments to marketing presentations, these will highlight issues pertinent to the South African e-commerce environment. The conference will bring forth discussions relevant to all involved in this growing market allowing e-commerce businesses to obtain information valuable to growing , establishing and maintaining their online businesses. Reputable organisations that have secured their seats include: ABSA, Nedbank, First National Bank, Telkom Business, Linden Vet Clinic, NWJ Fine Jewellery, Rubber Stamp and Engraving, Barloworld Automotive, Media24, ABSA Financial Services, On the Dot, Flight Centre South Africa, Supplement Centre, Ads24, Bearing Man Group (BMG), NU-Com, Going.co.za Argo Icarus Travel, Homemark and Ellerine's Furnishers. To find out more about the conference contact: Chissola Gaieta, Project Manager at chissola@tci-sa.co.za or call on 011 803 1553 URL: http://www.tci-sa.co.za/brochures/online_retail_small_3.pdf Twitter: www.twitter.co/tcisa Facebook: YouTube: Author: Sian Wirth from Trade Conferences International. Originally distributed by MyPR.co.za. No of Images Uploaded: None To gain access to None image/s please Like, Tweet or +1 this article: [l2g] Images: Photographer:Photographer: Photographer: [/l2g] . . . The 4th Biannual Loyalty and Rewards Conference, will be held on 14 and 15 August 2013 at Southern Sun, Cape Sun in Cape Town. This two day event featuring 17 speakers, 5 sessions, case studies and many more, will attract delegates from the loyalty and rewards arena. Sessions will cover more than 16 topics dealing with an in-depth overview of loyalty and rewards programmes , innovation and technology in successful loyalty and rewards programmes, how to make loyalty programmes work effectively, the ideal marketing techniques to use and governance and compliance issues. Marketing manager, Sian Wirth said, “Building a stronger link to customer loyalty marketing can help companies achieve finding out what their customers (and prospective customers) think and what they need. This in turn will guide companies to provide what their customers need and sustain their happiness through implementing the right loyalty programmes.” Bookings for this event are progressing well. The normal fee per delegate for the two day conference is R7 500 + VAT. A discount of R1 500 per delegate is given to organisations that book more than 3 delegates and a discount of R1 000 is given for single bookings. This offer is valid up to 11 June 2013. Contact Project Manager, Lisa Nathanson on 011 803 1553/0009 or alternatively download the registration form and email it to info@tci-sa.co.za URL: http://www.tci-sa.co.za Twitter: www.twitter.co/tcisa Facebook: YouTube: Author: Sian Wirth from Trade Conferences International. Originally distributed by MyPR.co.za. No of Images Uploaded: None To gain access to None image/s please Like, Tweet or +1 this article: [l2g] Images: Photographer:Photographer: Photographer: [/l2g] . . . 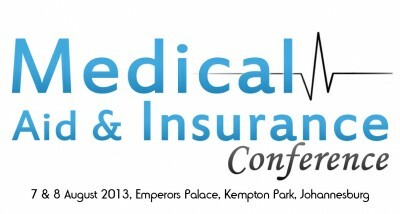 The Medical Aid & Insurance conference taking place on 7-8 August 2013 at the Emperors Palace, Johannesburg is forecast to be a top selling event with one of South Africa’s most highly regarded and influential individuals - Dr Michael Mol - who is scheduled as one of the speakers in the programme. Dr. Michael Mol, is a medical doctor, an executive television producer, TV presenter, international speaker, business consultant and company director. He also became well known as a presenter on TV’s top entertainement show, Top Billing. As a director of Hello Doctor, a mobile healthcare company, he will be presenting on using mobile phones to personalize healthcare, promote prevention and decrease claims. He will join other industry experts such as Ilse French, PwC South Africa; Neil Kirby, Werksmans Attorneys; Glenn Hickling, Discovery; Milford Chuene, Counsel for Medical Schemes; Dr.Jedd Myers, HealthInSite; Heidi Kruger, Board of Healthcare Funders in South Africa; Ian Fleming, Debt-In; Veni Chetty, Zurich Insurance; Prof. Daleen Millard, University of Johannesburg; Craig Taylor, Netcare and Valter Adao from Deloitte to name a few. Attending this conference will benefit claims/case managers, administrators, scheme managers, chief risk officers, key account managers, financial managers and officers, underwriters, actuaries, brokers/consultants, fund managers, heads of legal/compliance, chief compliance officers, legal advisors as well as principal officers. Registrations for this event started off with a bang. Some of the companies that have registered include; Momentum, Medihelp, Cipla Medpro, Phedisong Healthcare, Rocha Products, Perryhill International, South African Insurance Association and Doctor Billing. Log onto www.tci-sa.co.za and download the registration form and email it back to info@tci-sa.co.za. Alternatively call 011 803 1553 to speak to the Project manager, Gert Botes for more information. URL: http://www.tci-sa.co.za Twitter: . . .
Once best known for corporate investing, private equity firms are now ploughing money into African infrastructure. Erika van der Merwe, CEO of the South African Venture Capital and Private Equity Association (SAVCA) said: “Infrastructure gives private equity investors access to the strong African growth story, an exceptional theme in a structurally low-growth world.” Buying exposure to infrastructural assets through private equity provides investors exposure to an asset class that is not easily found elsewhere. “There are very few listed alternatives,” added van der Merwe. “There is limited capacity in the listed market and even in the bond market for gaining such exposure to infrastructure.” Big US private equity players like Blackstone, Apollo, KKR and Carlyle have recently invested in Africa with Blackstone taking a stake in a major dam construction project in Uganda. The bulk of foreign direct investment to be devoted to Africa over the next ten years is expected to be in infrastructure and related assets and industries. The most significant constraints to African growth are the lack of energy and transport & logistics infrastructure. Emile du Toit, SAVCA Chairman said: “None of the growth that is projected for the region will materialise without a major rollout of infrastructure, which private equity is now helping to fund. “The multiplier effects created by infrastructural investments are powerful tools for uplifting people and growing economies – and make infrastructure-focused private equity funds an ideal vehicle for fulfilling an impact investing mandate.” van der Merwe added that all development finance institutions and many pension funds now are focused on responsible investing and are looking to modify their allocations to ensure that these mandates, which extend to environmental, social and governance criteria, are fulfilled. Because of the medium- to long-term nature of their investments, infrastructure funds – and private . . .
Seasoned pro Waylon Woolcock and rising star Lourens Luus ended an electrifying game of one-upmanship to emerge as the mud-splattered overall winners of the three-day RE:CM Knysna 200 mountain bike race on Sunday. 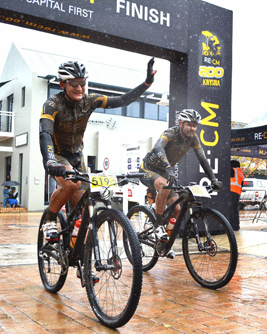 The Stellenbosch-based RE:CM duo hung on to their split-second overnight lead, and their brakes, on the wet and slippery 58km final stage to seal victory over their FedGroup-Itec rivals Kevin Evans and Brandon Stewart. 'It was quite a big goal for us to win and we're happy that we could pull it off," said national marathon series champion Luus. He and Woolcock crossed the finish line at Thesen Harbour Town in 2:14:32 to secure the overall honours in 7:44:56. Stage two winners Evans and Stewart overcame fading brakes to take third on the stage in 2:21:28 and the overall runner-up spot in 7:51:53. Former German Xterra rider Nico Pfitzenmaier and his young Bridge team-mate Timo Cooper finished second on the day in 2:17:15 to round out the overall podium in 8:00:09. After a cold and cautious start at the Harkerville Forest Station, the main contenders separated themselves from the rest of the field as they quickly rose high above the Indian Ocean. At the well-known lookout point at Kranshoek, some 15km into the stage, the four top teams – including RE:CM Rowers Matthew Brittain and Rob Dormehl – were at the head of affairs. But, by the first waterpoint at the 23km mark, the London Olympic gold medallist and his partner had dropped out of contention and were more than a minute and a half behind. The remaining three teams raced conservatively through the wet and technical Harkerville trails and were still together at the Brackenhill waterfall spectator point near Noetzie. Woolcock and Luus started asserting themselves as the conditions worsened and pulled 20 seconds clear of the two chasing pairs as they approached the Kruisfontein waterpoint at 40km. 'We didn't start off too hard because we knew there were a couple of big climbs . . .
Kevin Evans and Brandon Stewart effectively drew even as their titanic two-team tussle with Waylon Woolcock and Lourens Luus continued on the rain-soaked second stage of the RE:CM Knysna 200 on Saturday. The FedGroup-Itec riders held off overnight leaders RE:CM in a tense and tactical sprint to the finish at Thesen Harbour Town to win the 68km stage by a single second in 2:31:04. Little more than half a second now separates Evans and Stewart from Woolcock and Luus, who still lead the overall standings in 5:30:23. Bridge riders Nico Pfitzenmaier and Timo Cooper crossed the line third in 2:35:13 (5:42:54) to retain the same position in the general classification. With Stewart showing signs of struggling soon after the start at Rheenendal, Pfitzenmaier and Cooper put in a couple of big early efforts in near-perfect mountain biking conditions. Woolcock and Luus were able to reel them back each time, with a recovering Stewart and Evans rejoining the leaders among the hills of the Garden Route National Park. 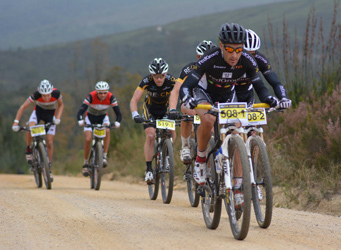 The three teams reached the first waterpoint, in the vicinity of Millwood around 18km into the stage, as the weather took a turn for the worse and the rain set in. "I said to Kev that my legs were feeling better," said Stewart. "So he said, 'Buckle in and climb!'" They put in several surges on the ascents on the Goudveld forest loop and continued to work hard at the front of the group. The pace eventually proved too much for the Bridge duo, who were dropped on the technical single track section around the 30km mark. "When we saw the gap, we took it and rode away with the RE:CM boys," said Stewart. At the second waterpoint in the Homtini section of the park, approximately 10km later, Pfitzenmaier and Cooper were one minute off the back. RE:CM and FedGroup-Itec turned up the gas on the Rheenendal road and by the time they hit the new single track near Phantom Pass they had opened a more than two-minute gap on the chasing pair. "I . . .
South Africa renegotiates double tax agreement with Mauritius By Ernest Mazansky, Tax Director at Werksmans Attorneys The much-anticipated renegotiated double tax treaty with Mauritius was recently signed and disclosed to the public. The new treaty, which is expected to come into effect in 2015, will impact several existing tax structures. Worth noting is the following: · The treaty tie-breaker for companies with dual residence will no longer be the company’s place of effective management (POEM). Rather, the company’s treaty residence will be determined by mutual agreement between the South African and Mauritian Revenue Authorities (MAP). By doing this, the certainty of a legislated provision is being substituted for the uncertainty of a negotiation between Revenue Authorities and in which the taxpayer will play no direct part. The dispute can also not be determined by an independent court, which is currently the case. Under the new treaty, if the two Revenue Authorities cannot reach consensus, the treaty simply ceases to apply to the company concerned. This is hardly acceptable. At the very least, the treaty should have bound the Revenue Authorities to submit themselves to a binding arbitration process (something which is provided for in the Organisation for Economic Co-operation and Development (OECD) rules). · Companies which are incorporated in Mauritius and which have structured their affairs properly so that they truly have their effective management in Mauritius, or at least not in South Africa, would not be impacted by the new treaty. By not having their POEM in South Africa, they would not be dual residents and the question for dispute/mutual agreement simply does not arise. · For these companies (incorporated in Mauritius), the challenge is to ensure that there is no effective management in South Africa, and often this is more easily said than done, which is why so many Mauritian structures are at risk. But then, they were always at risk, . . .
NEWS RELEASE Visa launches first African Integration Index in South Africa • South Africa’s integration improving • Low levels of regional integration amongst African countries • Africa still offers major growth potential SOUTH AFRICA, 5 June 2013 – Visa in South Africa today launched the first Visa Africa Integration Index that measures the degree of economic integration within key trade corridors of sub-Saharan Africa, namely West Africa, East Africa and Southern Africa. Together with its partners, global payments company Visa touches 500 million people in these key African markets. Rationale Mandy Lamb, Acting General Manager for Visa sub-Saharan Africa, said: “There is growing evidence that supports the argument that cross-border interactions, or openness, drives economic growth and socio-economic advancement. “Our objective was to construct an index for a number of selected sub-Saharan African countries to measure their global and regional integration based on recent data. We want to better understand Africa to help unleash the enormous growth potential in electronic payments on the continent, now the heart of the developing world.” She added that the Visa Africa Integration Index is particularly timely given the release of the Africa Competitiveness Report 2013 last month. The report, jointly produced by the African Development Bank, the World Bank and the World Economic Forum, said closer regional integration would be crucial in addressing underlying weaknesses in Africa's long-term competitiveness and ensuring that the continent delivers on its massive growth promise. Study Methodology The study offers a detailed analysis of key country clusters in sub-Saharan Africa, revealing strengths and areas of growth potential. The clusters are: • West Africa: Ghana and Nigeria • East Africa: Kenya, Uganda, Rwanda and Tanzania • Southern Africa: South Africa, Angola, Mozambique, Zimbabwe and Zambia. The 11 constituent . . .